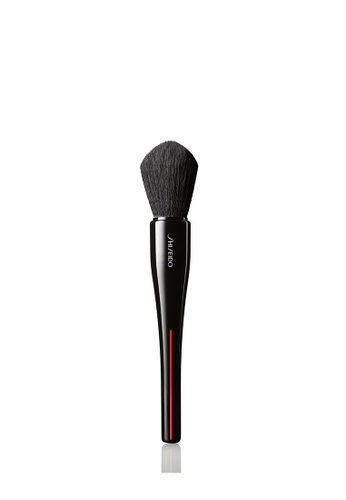 A uniquely tapered brush that fits perfectly within the contours of the face to apply highlighter, bronzer and setting powder thanks to its carefully balanced blend of crimped and straight fibers that replicate the texture of goat hair. J-BEAUTY TIP: Target more precise areas with the softly pointed tip and use the side of the brush to blend and diffuse any hard edges. Can't find Shiseido Makeup Maru Fude Multi Face Brush in your size?